Photo credit Pettybreakers social media account. Well, I don’t know but I’ve been told, you’ll never slow down, you’ll never grow old with the music of Tom Petty and the Heartbreakers. The tribute band, The PettyBreakers, is next to perform at Concerts in the Park, presented by Logix Federal Credit Union. Take them as they come ’cause they can’t stay long for the show this Saturday, August 18, at 7:00 p.m., in Central Park (27150 Bouquet Canyon Road). 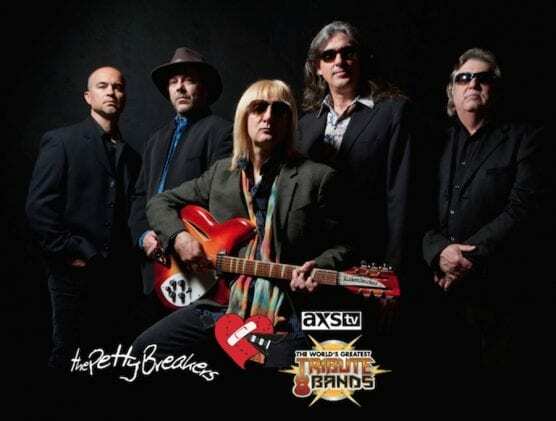 Honoring the music of the legendary Rock and Roll Hall of Famers and American icons, The PettyBreakers are the nation’s premier Tom Petty and the Heartbreakers tribute band, recreating the sights, sounds and experience of a live Tom Petty concert. Based in Southern California, the band’s musicians have performed and recorded internationally and were also chosen for AXS TV’s “The World’s Greatest Tribute Bands.” If you feel summer creepin’ in, don’t miss this week’s show. Concerts in the Park is a free music series hosted by the City every Saturday night, through August 25. The family-friendly atmosphere allows residents and visitors to sit back, relax and enjoy the music all summer long. Concertgoers are encouraged to bring beach chairs and blankets for seating at Central Park. Food vendors will be on-site selling a variety of concessions and snacks. For more information on Concerts in the Park, visit santa-clarita.com/Concerts.